Soon after the beginning of the First World War a group of Port Melbourne women decided to form themselves into a committee for the purpose of welcoming Australian troops, especially the sick and wounded, returning from the battlefields. They invited other Melbourne women to join them. 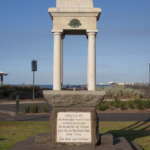 They pledged that they would welcome the troopships arriving at the Port Melbourne piers for the duration of the war. It transpires that they were still welcoming home soldiers in 1920. 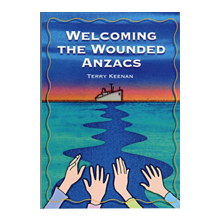 When the troopships arrived the men were greeted with baskets of cakes, sweets, chocolates, cigarettes , flowers, gum leaves and wattle. In order to raise the money needed to perform this task they organised an ongoing series of fundraising events, including two massive carnivals. Other local events included fetes, card nights, socials and raffles. They also appealed through the press for donations as well as shaking tins at Melbourne’s two major railway stations. These initiatives were an outstanding success as donations arrived from all over Victoria. Their unflagging efforts gained the respect of the military authorities and they were given pride of place when the arrangements were made to welcome home the Anzacs at the end of the war. This book outlines how the ladies successfully negotiated the complex local political difficulties that confronted them at the beginning, explains the structure of the group and the fundraising initiatives they undertook before detailing their work throughout the war years and the aftermath. Finally it brings to public attention the legacy left by these extraordinary women. 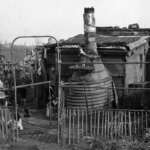 By way of contrast Part 2 encapsulates the horror that war can bring to the home front. It tells the story of a member of the Welcoming Committee who is cruelly murdered in her bed by her foster brother while her husband was serving overseas. The culprit had been wounded at Gallipoli and evacuated on the first day of the landing.